Every Witch should have a personal "knife". 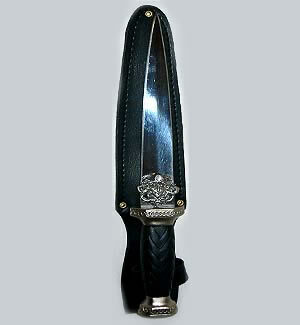 In many traditions it is called an athame (pronounced "a-tham-ay). It usually has a steel, double-edged blade. 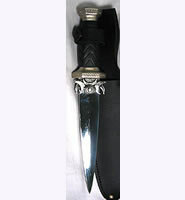 The Athame is both a storer and a projector for power. 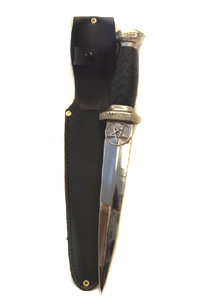 The athame can be used in place of a wand or sword so if you are just beginning to collect your magickal tools, the athame will probably be one of your first acquisitions. 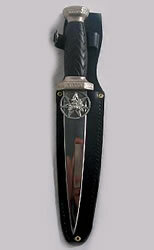 Black grip handle, silver tone, pentagram in circle design at top of blade. Black sheath. 6" blade, 9" overall.